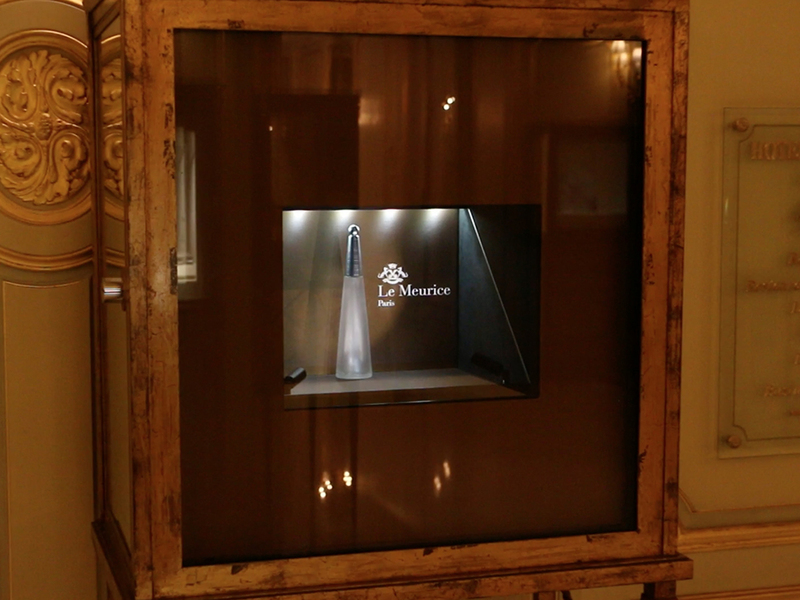 Hotel Le Meurice Paris : a magical perfume. 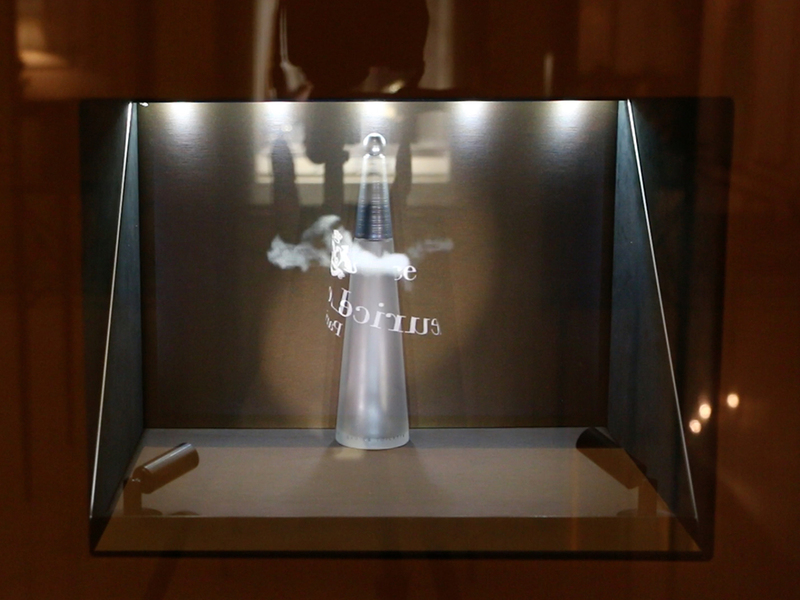 A simple bottle of perfume in a display case. The holographic system does the rest by providing a sober yet poetic touch of magic.